Set up an appointment for one-on-one counseling with a SOEST Advisor from UHM. 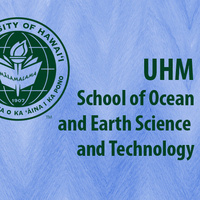 If you are thinking about transferring to UHM in a the field of Geology and Geophysics, Atmospheric Sciences or Global Environmental Science this is a great opportunity to have your questions answered. Contact Heather Takamatsu (haihara@hawaii.edu) or Melissa Jones (sauceda@hawaii.edu.) to schedule an appointment.